Man's best friend eh? The number of people who would have you believe that there is a generation (or group) of dogs intent on biting people for fun is quite alarming. Why do dogs bite? Well, let's be clear on one thing, dogs can and do bite. Their mouth is their first line of defence and attack. When dogs do bite the consequences range from shock, minor injuries all the way to fatalities. Dog bites are, in the main, avoidable and a better understanding of dog body language can help us get somewhere near to understanding the reasons and motivations for dog bites and serious dog attacks. Before we begin though, let's ask - and try to answer - the question of whether dog bites are a breed specific problem. 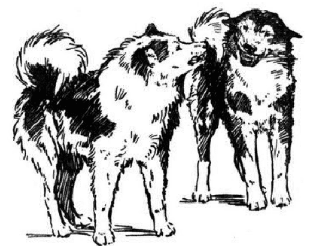 K9 Magazine editor Ryan O'Meara outlines his thesis for our misunderstanding of canine behaviour, body language and intentions as a primary motivating factor in our failure to spot the warning signs of dog aggression. What emotions do dogs have? What we happen to presume about what dogs think is, by definition, open to interpretation and in reality unless dogs learn to talk we shall never actually know what dogs think, although we can, will and should speculate. Dogs dream, we therefore conclude they have 'imagination' what they dream about, we do not know. As much as we may not like to admit it, we understand dogs a lot less than we realise. Can dogs have a social conscience? If not they can't possibly understand or display emotions such as guilt, shame, jealousy etc – all of which are traits often attributed to dogs in an increasingly anthropomorphic society which is conditioned to believe everything from gloved Disney mice to the socially conscious tales of Lassie. It's little wonder we grew up with such a distorted view of animal emotions, motives and drives. The most probable answer is dogs do not 'love us' in the sense that we love them. They are hard-wired to appease us, to fit in with us and to display behaviours which suit us and our needs – it is the fact that we love them for this which often mistranslates as them performing these behaviours because they love us back. It is us who attribute our social values and emotional structure to dogs in order to try and make them easier to understand. It is the dog's unique ability to allow us to believe this that has to be part responsible for their successful relationship with man. The dog will be, whatever we want him to be. This is an error in translation. After all, if we were truly looking for a companion animal whose emotions were closely linked to our own, surely we would have domesticated the apes and we would now be talking about man's best friend as a small, domesticated monkey. After all they have many of the same skills that dogs have, they are superior in intelligence, dexterity and trainability. The dog, for want of a better description, will be anything we want him to be. They will play the role of court jester or funeral mourner, if they think it's what we want. Perhaps it is this for reason alone that they have become the most successful socially domesticated animals on the planet. It is also possibly the reason why the more we think we know about them, the more we are kidding ourselves. The dog is, in my opinion, a still largely misunderstood animal. We control their environment, their diet, their stimulation, their entire lives – it's little wonder they feel compelled to 'love' us. We fail to acknowledge such a fundamental difference in perspective at our own peril. Understanding and accepting this literal matter of fact helps us to try and see things from the dog's perspective. In the world of the dog, people are most often regarded as friends or are observed as neutral, non threatening animals. However, not all dogs share this view of all people and it is an extremely serious error for any person to assume it. A dog's genetic make-up and breeding is a factor too often overlooked in instances where the less 'extreme' purpose bred dogs are concerned. A relative novice is inclined toward understanding that a Siberian Husky will not make an ideal pet for an owner who leads a largely urban lifestyle with little or no opportunity to provide regular opportunities for mental and physical stimulation. The average day of the average dog is spent waiting for stimulation or events which can break up the monotony of the dog's normal routine. In some dogs, attempts to stimulate themselves or indeed relieve boredom can manifest in displays of destruction or even aggression. An owner's failure to properly recognise the signs of problem behaviour, especially displays of aggression – even as a puppy – can encourage the dog to condition itself to responding to certain environmental events with aggression. Small, relatively unimportant events can spark an extreme response in a dog where inappropriate behaviour is left unchecked. A young dog - for the purpose of this example we shall say a West Highland Terrier - develops a habit of getting excited at 4.00pm each week day when the school children walk by on their way home. Over time this conditioned behaviour worsens. Each day he starts to bark, jump and claw at the door as soon as he sees any children in school uniform walking past. His owner's response to this behaviour is to shout at him as and when he starts barking and jumping up at the door. His owner doesn't re-direct the behaviour or address it in any other way other than to occasionally shout. Eventually the inevitable happens and the dog manages to escape through the front door when a visitor is leaving the house. He runs out in to the street and bites the first school child he reaches. His owner insists he has never done anything like this before (failing to recognise he had never had the chance before). This scenario above is a simple example of how behaviour left unchecked can result in an actual attack. The dog has displayed a clear misdirection of an intense prey drive which was initially piqued as a result of an unstimulated lifestyle and escalated as a result of both the uncontrollable element of the children who teased him but exacerbated by his owner's shouting in response to his barking, which the dog reads as either a reward for his behaviour or sees it as his owner 'joining in' with his behaviour. The problem is confounded as the dog's owner has failed to grasp the dog's perspective of what is happening at 4.00pm each day - whilst his owner sees the behaviour as the dog just letting off some steam for 5 minutes per day, the dog's perspective of the situation is far more serious - he is seeing the school children is prey items which should be pursued vigorously. The dog's owner has not recognised the 'value' placed on the school children by the dog. The example scenario shows a failure to provide the dog with sufficient daily stimulation, a fundamental misinterpretation of the dog's emotions (believing him to be 'letting off steam'), a perspective problem (not recognising how the dog is viewing the school children) and a failure to re-direct a very prominent prey drive behaviour, resulting in a completely avoidable dog attack. Aggressive behaviour should always, without any exception, be referred to professionals starting with an assessment by a veterinarian to check that there is no medical issue causing the dog's behaviour. Learn to understand the dog, don't assume. Provide exercise and stimulation appropriate to the breed and the dog's individual personality. Learn to recognise misdirected drive. In even simpler terms: dog bites and dog aggression are not breed specific, they are dog (and owner) specific. Dogs are the product of their genetics, upbringing and environment. Irresponsible supply of dogs is a major contributory factor as is the continuing failure to properly understand how dogs think, why they behave as they do and, more crucially, a failure to spot early warning signs of aggression or, more unforgivably, a failure to take appropriate action as and when a dog does show signs of aggression. Risk assessment is often poor in cases of serious dog attacks on children. Owners often misplace trust in their pets when they have no good reason to, particularly if a dog has never been exposed to certain scenarios in the past (e.g. young children visiting the home of a dog who is not used to them). Dog bites and dog attacks can be largely avoided. Breed bans have been a monumental failure to address the problem of serious and fatal attacks and serve as an ongoing reminder that it's not just dog owners who misunderstand the primary causes of dog bites, legislators are as guilty of this and that, quite frankly, is unacceptable. If we really want to understand and reduce dog bites, we have to do more to better understand our dogs, properly train them and put ourselves in a position to understand and mitigate risk factors. © Ryan O'Meara. All rights reserved. my dog is a westoodle,he is 8 this year but is very aggressive towards people when we have visiters,he lets them in,but then barks at them everytime they slightly move,ect,going to the loo,when they leave he goes mad,tries to bite them,he has bitten my dad several times,have to put him on a lead if he comes,people have stopped coming cos of the dog.he has got worse as hes got older,very worried about him,its going to far now. many thanks debbie cook. One simple question – why do you want to keep an animal that acts aggressively and bites people? Whats likeable about an animal like that? John,seriously!,one simple question-why would you post such a stupid comment?,unless you are very stupid yourself!,I’ve retrained two Staffie’s that had behaviour problems one of them was quite poeple and dog aggressive,both of my rescues were screwed up by people either not having a clue about dog requirements or desiring a weapon dog. With the worst of the two it took a lot of reading an patience but as I gained his trust an affection I could show him a new way to behave that made his life happier,within a few months his aggression had stopped entirely as we found other more fun engaging things to do instead of him focusing on other dogs,and within three years of having him he had made his first four paw friend in the park,from that point he blossomed into a dog that received regular comments from strangers about how amazingly good he was,for the nine years we spent together through life he was a joy to me and others,we said goodbye to him at the grand age of 18,thank god I found him an not somebody else like you as he would have been destroyed!,if you an your tiny mind can’t add anything helpful to these pages maybe you should stay away from owning any animal as it would seen very clear you don’t have even the the intelligence needed to pass comment!. I hate it when people laugh and think it’s funny when their small dogs display aggression, yet if it were a large dog it would be no laughing matter! I see this all the time. No matter the size, people should take aggression very seriously and seek help asap!